Marking the 80th birthday of the composer Philip Glass, the Bristol Ensemble performs his rich and compelling String Sextet, whilst Bath Camerata presents two hypnotic intermezzos from Glass’ opera Einstein on the Beach. 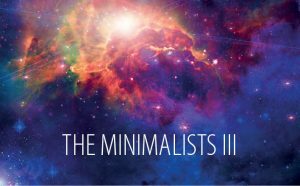 The singers are unaccompanied in Stravinsky’s twelve-tone inspired Dove Descending, before choir and ensemble combine for a special realization of Terry Riley’s iconic In C, a work often cited as the first minimalist composition. The concert opens with a performance of David Lang’s striking and powerful Statement to the Court, scored for choir and instrumental ensemble. Tickets £12 to £23, on sale from 21 November from St George’s Bristol box office on 0845 40 24 001 or online at www.stgeorgesbristol.co.uk.